If you think about leveraging consumer power and choices to create a positive impact on the environment, then consider for a moment the many purchases made in the course of owning a cell phone. There are just as many ways to reduce the waste produced by discarded cell phones and their component parts. At a time when they are used so extensively that the number of mobile phones is mind-boggling, it is worth taking a moment to consider the proportional influence that this could have on reducing the environmental impact. A recent EPA study estimated that mobile phones and other electronic waste generate around 2 million tons of yearly waste. There was a time not too long ago when recycling at all was seen as something rather extreme, or bizarre. Now it is just a standard practice in many households. This kind of habit forming is incredibly effective, and could easily extend to cell phones in the near future. Here are a few ideas on how to create environmental-friendly habits that are easy, effective, and could even reward you with a few extra dollars! • SIM Only Contracts — This is a great way to exercise responsible choice for switching your cell phone service to a different provider, or just to have your phone set up for future needs. SIM cards can be used in any phone, and the SIM only contract is similar to other mobile phone contracts. Most major carriers have this option, which allows the user to continue using the phone you already have. The SIM card, or Subscriber Identity Module, is a chip inside your phone that stores all the information you see on the screen. A SIM-only contract does not provide a phone; this means you can easily avoid contributing to mobile phone landfills. For those with expensive contract phones such as at the iPhone then a large portion of the contract cost is to cover the cost of the phone itself. At the end of the contract you can keep your phone and more to a much cheaper SIM only contract. If you have a smartphone then you will need a contract which has a good internet allowance to make full use of its capabilities so opt for one of the SIM only contracts with internet data allowance as part of the plan. 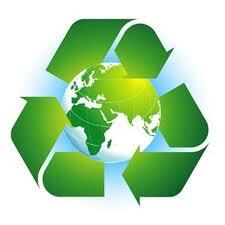 • Recycling — Another great concept in cell phone disposal is the expanding recycling business. Sometimes phones just pile up, and in such a condition it is easy to overlook this potential revenue. In fact, there are entire units in some recycling facilities that would be glad to take those old phones off of your hands, and they may even pay for it! If not, then there are still many local recycling outlets that will accept your mobile phone donation, including the Office Depot, Radio Shack, and others. • Phone Components — When you are looking for a phone, do you realize that the different kinds of models have different degrees of energy efficiency? If not, then this is certainly an area where the types of purchases you make could have a potential environmental impact. Look for the companies that specialize in energy-efficient recharging systems, including solar. While shopping, try to remember that some mobile phone models are specifically manufactured to be efficient in use, while others are manufactured simply to make a sale as quickly as possible. 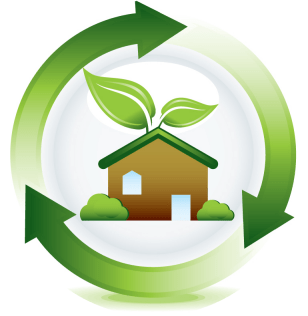 Look for the model with a good reputation for energy efficiency and a positive energy performance review from a trusted source. This is the best way to incentivize the influence of consumer dollars on the manufacturing of more energy conservative mobile phones. • Buy Eco-Friendly Devices — One of the more innovative recycling concepts is the mobile phone that is made from recycled parts. It is the most effective way to enter the cell phone market with a green ethic. If this is your first purchase, it will create even more long term impact when combined with some of the other ideas listed above. Getting yourself, or others you know, to purchase phones that are designed and built from recycled materials is the best way to get your environmental ethics in hand; any way you look at it, it’s a good call.